While attackers continue to evolve their techniques, IT community more than ever needs to raise awareness about major security issues and best practices to tackle cyber threats. Sharing expertise and experience within the professional community will help organizations regardless their size and industry define possible attack vectors, adequately evaluate risks and prevent large-scale data breaches. Netwrix supports knowledge sharing among IT professionals and launches Visibility Academy – free source for learning and improving knowledge base for IT administrators. Visibility Academy is learning portal for IT administrators, IT managers and CIOs that includes how-toes and guides, researches and reports, free webinars and all issues of SysAdmin Magazine. Academy’s mission is to help IT pros improve their security savviness and gain visibility into IT environments. You’ll find practical guides about preparing AD reports, free handy how-tos with scripts for native auditing, interesting articles in SysAdmin magazines and much more. How-tos & Guides to give step-by-step instructions about monitoring of the most critical events across hybrid cloud IT infrastructure to reduce security blind spots and enable basic IT change controls. Researches that are conducted among IT pros worldwide by the Research Lab to discover up-to-date interests of IT community and provide granular trend analysis of the industry. 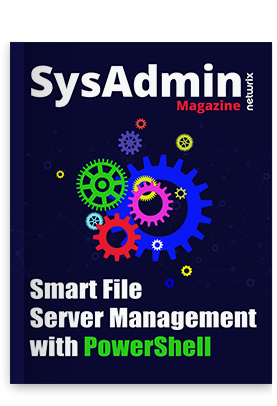 SysAdmine Magazine, a monthly publication that offers a perfect mix of ideas and insights to enable IT pros to keep a tight grip on IT security and do their regular job faster. Webinars to unveil real-world use cases of Netwrix customers and learn more about security issues, ask questions to IT experts and get useful tips. Get training materials or attend webinars to stay up to date on the latest product developments, and sharpen your IT security know-how and simplify your job as an administrator. Visibility Academy teach you best practices to manage your IT environment.